Mr. Leszcz came to Maryland in 1958, when his father (USAF) was assigned to the U.S. 2nd Army at Fort George G. Meade. Mr. Leszcz attended Maryland public schools and in 1964 graduated from Arundel Senior High School in Anne Arundel County. Mr. Leszcz served two years in the U.S. Coast Guard, and attended St. John’s University, Canal Zone College, and Delaware State University. Returning to Laurel in 1969, Mr. Leszcz married the former Mary Eileen Morgans and they have three adult children; Michael, Katie and Marianne. Mr. Leszcz is the proud grandfather of Aiden Michael McKnight. 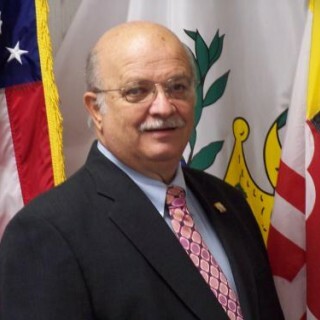 Mr. Leszcz has served as Mayor and Councilmember of the Laurel City Council for 21 years. He also currently serves as Chair of Maryland’s Patuxent River Commission, and serves on the Board of Directors for the Laurel Regional Hospital Foundation. Mr. Leszcz is a Life Member of both the American Legion Laurel Post #60 and the National Eagle Scout Association.